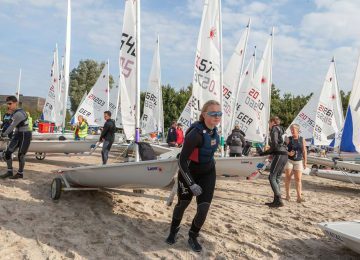 Qualifying series concluded yesterday at Aarhus, Denmark, where the 2018 Laser World championships are being played. 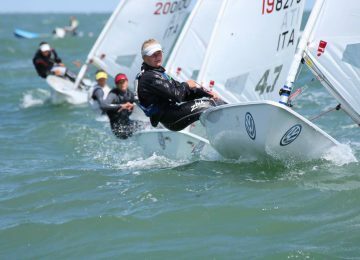 Hard sailing conditions with medium to strong winds and a tricky predominant offshore breeze marked the first days of competition. 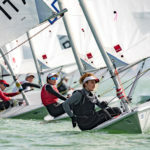 Best Laser and Laser Radial sailors all around the world are here not only fighting for the World titles but also seeking to qualify their countries to the next Olympic Games Tokyo 2020. 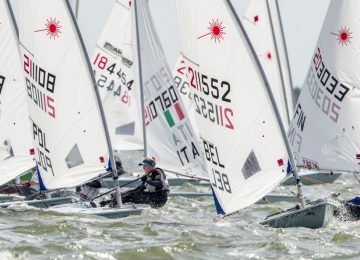 After 6 scheduled races is local Anne-Marie Rindom DEN (4-3-2-18-2-2) who’s leading Women’s competition with 13 points, followed by Line Flem Host NOR (3-2-5-27-1-9) and Paige Railey USA (2-1-16-5-7-7) with 20 and 22 units respectively. 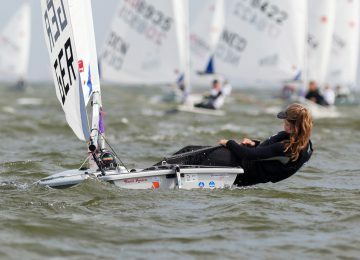 Very close on 4th and 5th are Maxime Jonker NED and Emma Plasschaert BEL with 24 and 25 points. 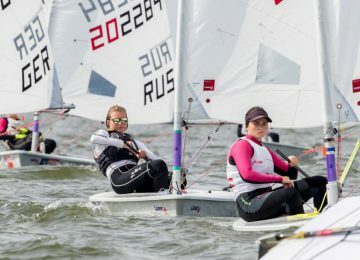 Tuula Tenkanen FIN (6th) Hannah Snellgrove GBR (8th), Marit Bouwmeester NED (9th) and Magdalena Kwasna POL (10th) completes provisional Top 10 overall, among 119 competitors. 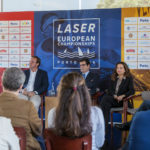 Current Laser World champion Pavlos Kontides CYP (8-3-7-2-1-2) is best ranked European sailor, holding 5th place overall with 15 points. 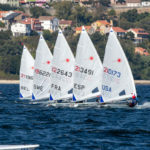 A great third day and consistent sailing with a low scoring discard settles him in nice shape to discuss podium spots with current leader Sam Meech NZL (1-1-1-2-13-4) and Australians Luke Elliot AUS (13-1-2-6-3-1), Matthew Wearn AUS (7-4-1-4-3-1) and current Olympic Gold medalist Tom Burton AUS (1-5-6-1-2-27) on 2nd to 4th places. 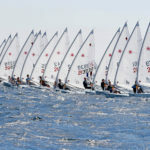 World provisional Top 10 rank is filled by European sailors Elliot Hanson GBR, Philipp Buhl GER, Sergey Komissarov RUS, Kaarle Tapper FIN and Hermann Tomasgaard NOR, on places 6th to 10th respectively. 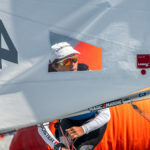 Report by Agustín Argüelles – EurILCA | Photo: Pedro Martínez – Sailing Energy – Aarhus 2018.